Glass is a remarkable material, it can be subtle, it can be striking, it can fade into the background, and it can be the making of any room. It combines beauty with strength in a way nothing else can. Why not enhance your home and bring a special touch to bathrooms and kitchens, in fact to almost any room. Glass is so versatile that there are few places it can’t be used and few places where its unique properties won’t bring an unexpected touch of elegance. Kitchen Splashbacks - Available in 16,000 RAL, BS OR Dulux colours - splashbacks, worktops, breakfast bars or islands will help create a truly individual look to the kitchen of your dreams. Light is important to any kitchen, and the wonderful reflective quality of glass can both transform the smallest area and bring individually and focus to large ones. With a huge range of colours and finishes there’s almost no limit to what glass can achieve and no limit to its scope for individuality. 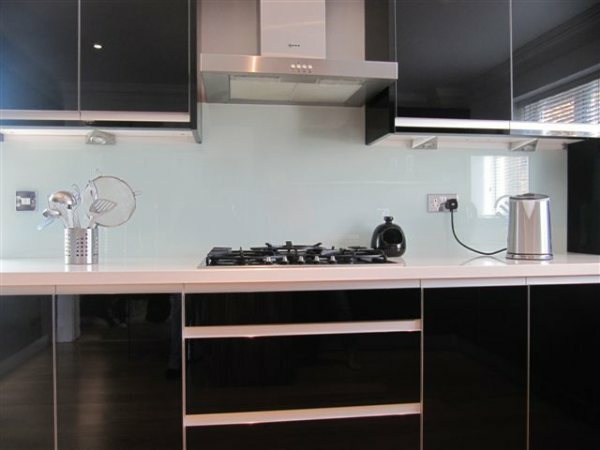 With no grout lines to worry about, glass splashbacks not only look seamlessly beautiful, they also stay clean and hygienic longer than almost any other material. Heat resistant, strong and durable, they can run behind hobs and sinks or clad an entire wall for a truly dramatic effect. In many ways glass is the perfect material for bathrooms and wet areas. Sleek, easily cleaned, naturally hygienic and bright, it makes any bathroom a special place to be. 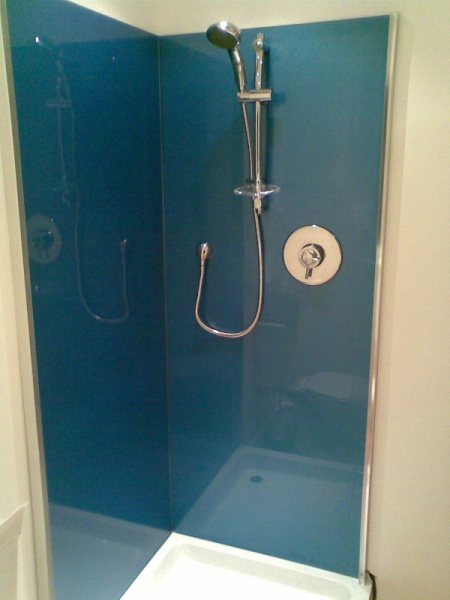 Glass has always been the professional’s choice for shower enclosures and screens, and with good reason. Virtually maintenance free and with easily waterproofed joints, they shrugs of stains and mildew - remaining clean fresh and bright throughout their life.